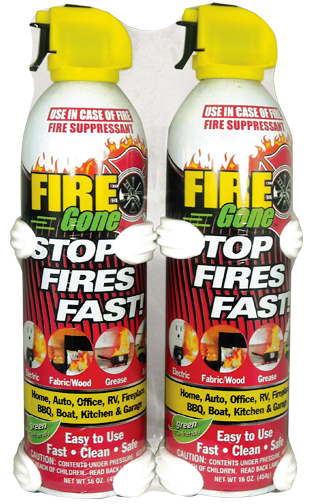 Fire Gone® is a fire suppressant packaged in a compact and cleverly designed aerosol can. 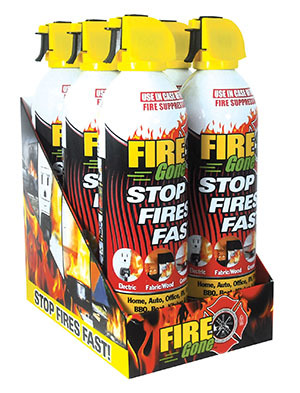 It delivers a strong targeted stream that goes right to the source of the fire, coating it with specially formulated, fire fighting foam. Easy to use and simple to clean-up. Made from biodegradable materials. 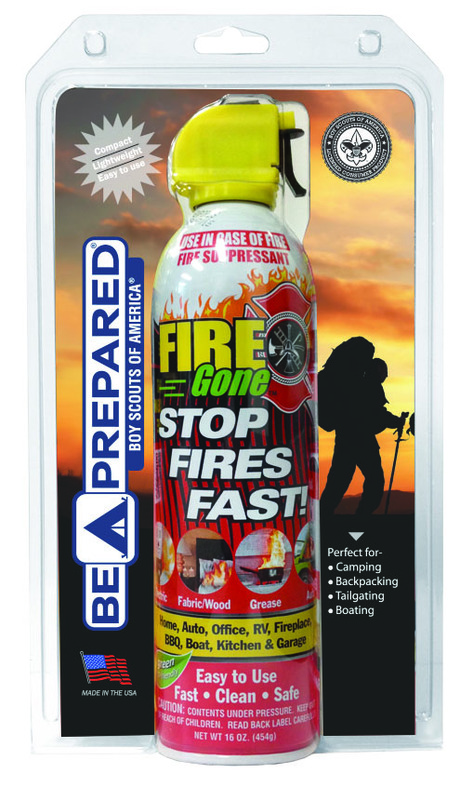 Fire Gone® Boy Scouts is a fire suppressant packaged in a compact and cleverly designed aerosol can. 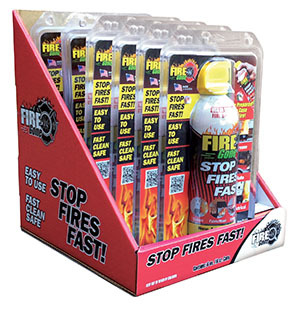 It delivers a strong targeted stream that goes right to the source of the fire, coating it with specially formulated, fire fighting foam. Easy to use and simple to clean-up. Made from biodegradable materials.